The second edition defines the tools used in QA/QC, especially the application of statistical tools during analytical data treatment. Clearly written and logically organized, it takes a generic approach applicable to any field of analysis. The authors begin with the theory behind quality control systems, then detail validation parameter measurements, the use of statistical tests, counting the margin of error, uncertainty estimation, traceability, reference materials, proficiency tests, and method validation. New chapters cover internal quality control and equivalence method, changes in the regulatory environment are reflected throughout, and many new examples have been added to the second edition. Piotr Konieczka (MSc 1989, PhD 1994, DSc 2008-GUT, Prof. 2014), has been employed at Gdansk University of Technology since 1989 and is currently working as a full professor. His published scientific output includes 2 books, 10 book chapters, and more than 70 papers published in international journals from the JCR list (S IF = 165), as well as more than 100 lectures and communications. Number of citations (without self-citations) = 585, h-index = 16 (according to Web of Science, 16.12.2015). Supervisor or Co-supervisor of 4 PhD thesis (completed). His research interests include metrology, environmental analytics and monitoring, and trace analysis. Jacek Namiesnik, MSc 1972-GUT, PhD 1978-GUT, DSc 1985-GUT, Prof. 1998), has been employed at Gdansk University of Technology since 1972. Currently a full professor, he has also served as vice dean of the Chemical Faculty (1990–1996) and dean of the Chemical Faculty (1996–2000 and 2005–2012). He has been the head of the Department of Analytical Chemistry since 1995, as well as chairman of the Committee of Analytical Chemistry of the Polish Academy of Sciences since 2007, and Fellow of the International Union of Pure and Applied Chemistry (IUPAC) since 1996. He was director of the Centre of Excellence in Environmental Analysis and Monitoring in 2003–2005. Among his published scientific papers are 8 books, more than 650 papers published in international journals from the JCR list (S IF = 1673), and more than 400 lectures and communications published in conference proceedings; he has 10 patents to his name. Number of citations (without self-citations) = 6711, h-index = 42 (according to Web of Science, 16.12.2015). Supervisor or Co-supervisor of 59 PhD thesis (completed). Elected as a Rector of Gdansk University of Technology for the period 2016-2020. His research interests include environmental analytics and monitoring and trace analysis. 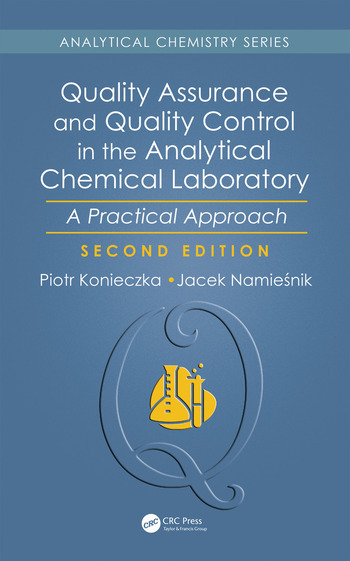 "Quality Assurance and Quality Control in the Analytical Chemical Laboratory: A Practical Approach extends and improves with its special practical view the spectrum of existing QA/QC textbooks. 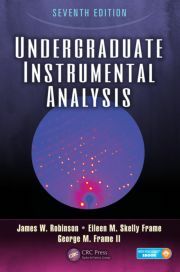 It is well written, clearly organized, and characterized by many examples from daily analytical activities, and, therefore, good to understand... This monograph gives an excellent opportunity with its understandable style not only to understand terms and approach of QA/QC but also to enable a founded approach to concrete own calculations by numerous examples from real-world analytical chemistry."